FlaskFiller, or rather GlassFiller, is a simulation which enables teachers and students to experiment with and reason about the relationship between the shape of a glass, and the change in speed while filling it up (time vs height of the liquid in the glass). Select the vertical axis’ quantity, which is one of height, time, volume, or rising speed. Note that you can select the same quantity for both axes, which can make for an interesting topic of discussion. See some screenshots below. Read the information about the simulation and how to use it on FaskFiller Education. Read the Research done on FlaskFiller software used with grade 5 pupils. The simulation has been used with grade 5 pupils in a one-to-one setting. When using this simulation in class you might want to use a hands-on experiment first, whereby you use a measuring cup to fill up glasses with different shapes. 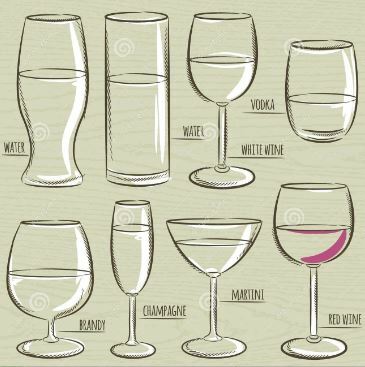 Let the pupils measure, observe and reason about what is happening with the different glasses. Afterwards let the pupils experiment with the simulation based on clear questions/tasks. Students should be encouraged to record their findings and discoveries on a worksheet. Most grade 5 pupils understand the principle of instantaneous speed, but lack the vocabulary. After experimenting in small groups, you could start the simulation on your SmartBoard and discuss the findings. Here the pupils will learn to extend their vocabulary and express what they see and think. Vocabulary: (rising)speed, volume, height, shape, time, timelap, decrease/increase in speed of height of liquid visible in the graph. After experimenting and discussion, pupils should for example be able to match a glass (or bottle) with a graph and vice versa. The simulation can be used from grade 5 up to grade 10 depending on the tasks given. The simulation program is available online as an HTML file, but can also be downloaded for off-line use.